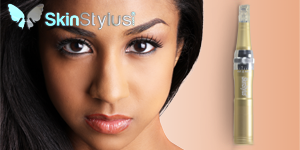 At AMAE Med Spa, in Birmingham MI we use the revolutionary new SkinStylus® MicroSystem for microneedling. 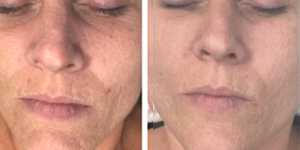 This is an innovative new tool for microneedling offering a “fractional” treatment that is better and more advanced than other microneedling systems and devices. 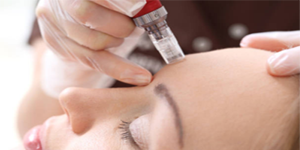 With microneedling – like anything else – there is a huge difference between the latest, state-of-the-art clinical technologies, and devices used in a beauty salon or bought online or at the drugstore. 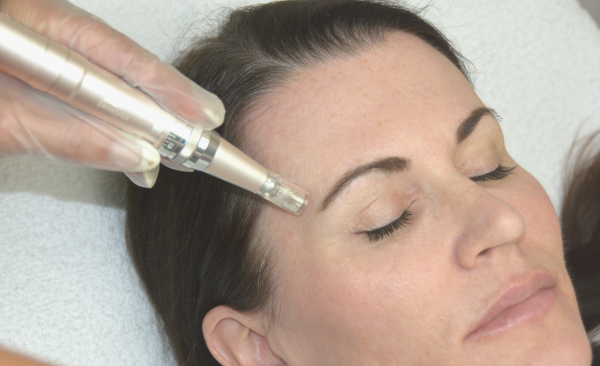 SkinStylus® Microneedling utilizes an advanced generation of medical-grade device that penetrates deeper, with finer needles – for better, faster results, with less discomfort, less redness and no downtime! Schedule an appointment today to get smoother, clearer, younger looking skin! 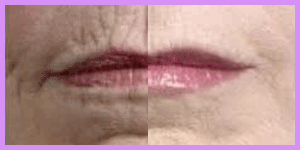 The women pictured are actual SkinStylus® Microneedling patients. You can see the dramatic difference in their appearance, in many cases after just a single SkinStylus® Microneedling treatment. 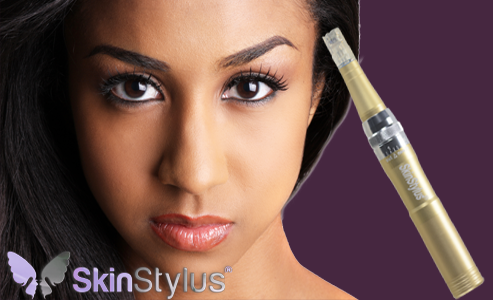 SkinStylus® Microneedling is a revolutionary procedure that reduces the signs of aging, and results in smoother, brighter, more clear and toned skin. Micronnedling is highly effective in treating age spots, dark spots, crow’s feet, sun damage, marionette lines, fine lines and wrinkles. 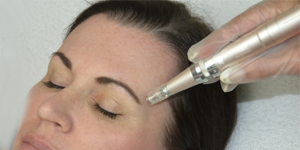 Microneedling can also be used to treat stretch marks and pigmentation anywhere on the body! SkinStylus® Microneedling works via “induction” therapy – a safe and effective treatment for anti-aging, scarring, and even reducing the appearance of stretch marks and scars from surgery, acne, burns and other skin damage. 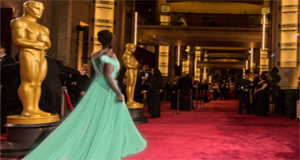 The SkinStylus® MicroSystem works on the same principle as fractional lasers. Numerous small “microchannels” or tiny wounds are created throughout the skin, which stimulate the body to produce new collagen. The new collagen production helps remodel the skin by filling in lines, wrinkles and scars, while improving tone and elasticity, and reducing pigmentation. The use of ultra-fine needles to create the microchannels avoids the use of heat, thermal energy, or chemicals. 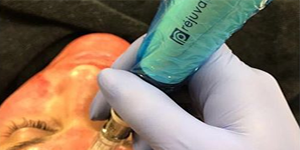 This is important because it virtually eliminates any post treatment sensitivity as well as any down-time – while still delivering spectacular results. Additionally, the microchannels allow skincare serums that normally cannot penetrate the skin to pass through the outer layers of the skin – to further help repair and beautify.